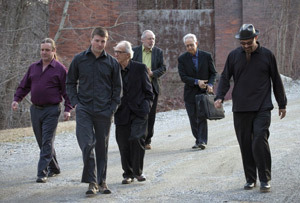 CATSKILL–Temple Israel of Catskill, the only Reform Jewish congregation in Columbia and Greene Counties will present an evening of klezmer music by Paul Greene and the Two Worlds Band on Friday, June 22, at 7 p.m. Temple Israel is located at 220 Spring St. According to organizers, Paul Greene, clarinetist, sometimes called the “go-to guy for Jewish music,” combines jazz and klezmer tunes into rousing instrumentals with an edgy beat. Tickets may be purchased in advance for $25, or if still available, for $30 at the door the night of the concert. Check payable to Temple Israel of Catskill may be sent to: Ellen Langton, concert coordinator, 43 Elm Lane, Ancramdale, 12503.Questions may be directed to Langton at 917- 589-6678.